We have a selection of Wooden Roses available for those who wish to give that special gift for any occasion. They are life-like and come in an assortment of colors. Come and see our selection. 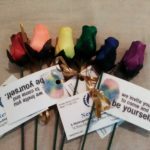 $2.00 per rose; $10.00 for bunch of 6; $15.00 for bunch of 12. Email newlight.mcc.office@gmail.com with your name, quantity and colors* and total cost so we can prepare them for you to be picked up at the church. We are currently seeking a person who would be interested in becoming our lay delegate. Please talk to Bruce Brooks and Pastor Deb concerning your interest in the position. You may now donate to New Light MCC while you shop. 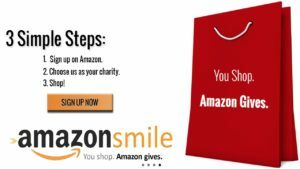 Go to Amazon.Smile and a donation will be made to New Light MCC from your purchases on Amazon. 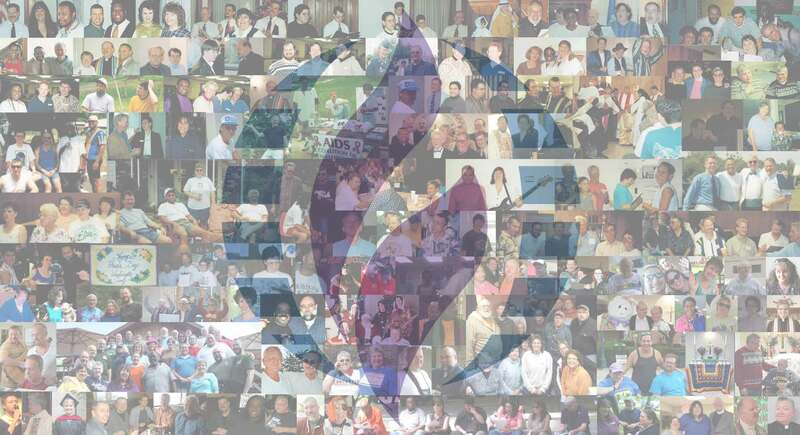 Click on the logo above and search for “New Light Metropolitan Community” and choose it as your charity and your purchases will then help our ministries. Shop at smile.amazon.com/ch/52-2009154 and Amazon donates to New Light Metropolitan Community. Rev. Deb in the News! Visit https://www.localdvm.com and see an article and video of “A Resting Place” at NLMCC. Visit www.heraldmailmedia.com and see an article and video about NLMCC and Washington County Health Department’s Harm Reduction Program collaboration. Visit www.heraldmailmedia.com and see the 2018 Transgender Day of Remembrance coverage. Visit http://harccoalition.org/news/brick-fundraiser/ for our Engraved Brick Paver fundraiser article on HARC’s website. 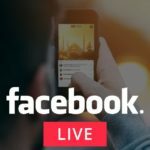 Visit www.heraldmailmedia.com for an article about our Facebook Live presentations. Visit The Washington Blade and read about us and MCCDC. and see the 2017 Hagerstown Hopes Pride Coverage. and read about our new pastor Reverend Deb Coggin. Twenty years of photos are posted on our Facebook Page. Our Homecoming Service is Sunday, September 7, 2014 at 10:30 AM. We will be having a Potluck after services in our Social Hall. Please come! Hope to see everyone at the various Pride Events this summer. We’ll be at Panhandle Pride, Morgan’s Grove Park, Shepherdstown, WV on July 12. New Light Metropolitan Community Church will conduct a new member class for all those who wish to join our church congregation. Anyone interested in joining please send your interest to newlightmcc@hotmail.com, or see one of the Board members or one of our transitional pastors, Rev. Kelly Crenshaw or Rev. Sherry Miller. Class date will be scheduled according to those interested in joining. New Light is scheduled to be at several Pride events this summer, including DC Pride (June 6-8), Frederick Pride (June 28), and Panhandle Pride (July 12) plus we’re looking at several other pride events. See you this summer! We now are taking bookings for weddings at New Light MCC. Please call to make arrangements and discuss our rentable space. 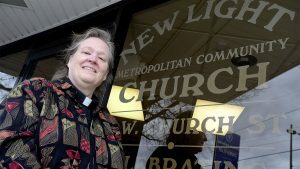 New Light Metropolitan Community Church will be hosting Rev. Tony Freeman Saturday, January 25th for a “Holy Conversation” at 3:00 PM. Afterwards we will have a potluck dinner at 5:00 PM to continue to have a dialogue with Rev. Freeman. This will be a time for Rev. Freeman to get to know us as a congregation and to better understand our needs for our search for a pastor. On Sunday, January 26th, Rev. Freeman will attend a “Continental Breakfast” served at the church from 9:00 AM to 10:00 AM for those who were not able to attend the potluck dinner from the night before. Again, this is to allow Rev. Freeman to get to know us as a congregation. He will present the sermon to us during service (10:30 AM). Due to his travel plans, he will be leaving after services. Rev. Tony Freeman has been named Director of the Office of Church Life and Health (OCLH), effective 3 September 2013. Rev. Freeman has served MCC for 18 years in a variety of roles, including as Senior Pastor, Interim Pastor, church consultant, chair of the Structure Review Team, and member of the Governing Board. His experience includes service in churches of various sizes, especially pastor, program, and corporate size churches. All of these experiences give him an understanding of issues and challenges facing churches of varying sizes and locations. Rev. 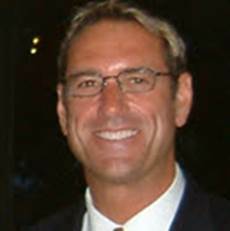 Freeman has a passion for the local church, for leadership development, and for team building. He also brings the ability to develop resources, teach, and manage conflict. Please join us in welcoming Rev. Freeman by participating in the “Holy Conversation” and the potluck and/or breakfast and come to enjoy the message he will bring to us on Sunday, January 26 at 10:30 AM. By the time you receive this message, we will probably be into the New Year. At this writing, however, 2013 is still with us. And as I think about what New Year’s message to share with you, I came across this writing by Tyler Connoley called “One life to live”. I’ve always like Qoholet, the “Teacher” of Ecclesiastes. I appreciate his honesty about the way the world works. He acknowledges that, sometimes, bad things happen to good people, and the bad people prosper at the expense of the good. He is a man who tried every pleasure the world had to offer, and found them all vanity, literally “like smoke”. In this book, Qoholet doesn’t get bogged down in lofty theology, or preach a prosperity gospel that promises an easy life for the faithful. What he does focus on, what he promises, is that we can enjoy the time we have on this earth if we’re willing to accept what God gives us for today. His is a practical book, telling us how to get the most out of a world that often seems unfair and chaotic. Go to it then. Eat your food and enjoy it, and drink your wine with a cheerful heart; for God has already accepted what you have done. Always be dressed in white and never fail to anoint your head. Enjoy life with the one you love all the fleeting days of your allotted span here under the sun; for that is your lot while you live and labor here under the sun. Whatever work you find to do, do it with strength. For there is nothing of work, explanation, knowledge, or wisdom in the land of the dead where you will go. These verses are an admonition from someone who has been-there-done-that and finally found the key to real happiness: Enjoy the things you have, instead of worrying about the things you don’t have; do what you do well, instead of wishing you had someone else’s talent. The secondary message of this text is just as important: God accepts you as you are. Particularly for those of us who don’t conform to society’s norms, this can’t be said often enough. In a society that expects us all to be straight and gender-conforming, Qoholet says, “God has already accepted what you have done. Always be dressed in white and never fail to anoint your head with oil.” Love yourself, because God has already anointed you as a royal heir. Qoholet says to eat and drink with joy. Carry yourself with dignity. Love with gusto. And do the best work you can. In short, enjoy the life God gave you, because it’s the only one you’ve got. When I began at New Light as Pastor in September of this year, being asked to officiate a wedding between two same gender loving people my first week was not something I would have expected. And that was only the beginning. Within that first month, several more requests came through from all over the country. Though I have officiated many weddings, none of them have been with couples I didn’t know nor met with during pre-marital counselling prior to my marrying them. To be fair, many of the couples asking if I would marry them (upon my arrival at New Light) had been together for many years. And because of the new laws legalizing marriage between same gender loving couples in Maryland, many were ready, willing and able to travel for miles to get married in Maryland. In addition many also wanted something more than just a civil ceremony at the court house. So for me, this was a dilemma. A dilemma because it was important I be true to myself and what I believed as a professional Clergy person, and at once, also deeply committed to my belief in the sacredness of marriage between all God’s people who loved one another. The good news for many, it seems, is that there are other authorized members of the clergy in Maryland who perform marriage ceremonies between same gender loving couples upon request. And who also do not require pre-marital counseling first. Paul, however, didn’t write the First Letter to the Corinthians about romantic relationships. He was writing to a community struggling to understand how it needed to behave with the end of time so near. Love, he writes, is a gift from God, not just an emotion or human feeling. The Greek word for love in this passage is “agape:” God’s unearned love for humans. In the day-today crucible of marriage, it is not easy to be our best selves with each other as we face the pressures of children, finances, aging, and illnesses and so on. It is especially in difficult times that we need to remember these words from First Corinthians: Be patient. Be kind. Put up with what is currently distracting or distancing. Work so that love may endure. It seems to me that for any long-term relationship to last, whether marriage or friendship, that go-the-distance love…the kind of love that endures, requires a commitment to bring our best selves to each other, work through the struggles when we do not, and forgive ourselves and each other regularly. This passage in First Corinthians also calls us to bring love into the wider world–to love our neighbors as ourselves. To love in such a way, is not always easy. Nevertheless, Paul is calling the Christian community of Corinth to love each other. Love endures because people commit to each other. How would it be if next week we chose one quality of love a day and intentionally worked to manifest it in our daily lives and relationships? Or choose to have a day in which we practice patience, a day of kindness, a day without envy, and so on. And how about planning to have a day of hope in which we look at everything with optimism and anticipation of the good that is to come. How would it be? Today as I reflect upon the call to serve as a congregational leader within the Christian context of “set apart” ministry, two major events in my history come to mind. The first began before I was born, because I was born into a bi-racial, ecumenical, military family. For the first 17 years of my life, I was exposed to a plethora of diverse life experiences which spanned the contexts of economics, social justice, the arts, class, race, faith tradition, gender, age and sexual orientation. These experiences took place in the continental United States as well as in Europe. Years later; I realized how instrumental this background was to my pre-disposition to contexts of change on a number of different levels and within a variety of venues. The second major event took place when I was first introduced to MCC. This happened when I was on active duty with the U.S. Navy in the 1980’s. While in the Navy, an office mate of mine felt comfortable confiding how much she missed her girlfriend (who was deployed for 6 months on a ship). We had become good friends. And she cared for my 3 children when I was sent away for training or had guard duty. It was she who told me about MCC and took me to my first service there. It was not a good experience. The first MCC I attended was located in New England and showed little to no diversity or hospitality. The demographics of the congregation were all males of European descent between the ages of 20 and 50. And at no time was any effort made to welcome us. Because of this, I told my friend it would be OK with me if I did not go back to that or any other MCC church. About two years later, I found myself looking for an MCC church in the Washington Metropolitan Area. The reason I decided to look for an MCC was that my 9 year old daughter (who already looked to be about 16) indicated how confused and troubled she was about her sexuality. She was cool with guys, but she found she liked girls better. And because of some of the things she had heard from her friends at school, and sadly, at church, she was afraid she was going to hell because of her feelings. This concerned me because I did not want her to begin thinking negatively of herself, her feelings or her faith. In addition, I did not want her to be exposed to “street learning” regarding her sexuality. Therefore, I looked up MCC in the phone book and started making calls. That’s how MCCDC became not only our new church home, but part of our extended family as well. While a member of MCCDC, I joined the Gospel Choir under David North and became one of the primary members of the local EXCEL movement, and later became a Deacon. The founding pastor was one of my mentors. All of this occurred during the height of the AIDS crisis in Washington, DC. And as a deacon and active member, I became deeply involved with giving care to those persons living and dying with AIDS. 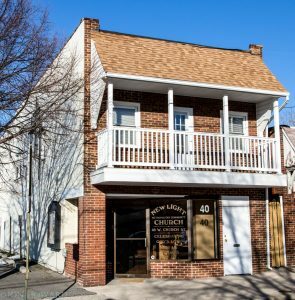 Because there were several other churches in the neighborhood, we at MCCDC became unexpected “ambassadors” of love, support, education and help to those pastors and members of churches with lay and congregational leaders being “outed” by their disease. It was during these difficult times I realized how much of a heart I had for all God’s people. And also how grateful I was to MCCDC for taking my family and I in when we needed it most. To give something back to the community that gave so much to me and my family was one of my greatest desires. So I lobbied hard to be accepted and trained as a deacon. It was a big mistake. I was a miserable failure. And today, I know I failed because I “called myself” to something I really wanted to do, but that something was not within God’s will. For years after that, I avoided taking any kind of leadership role at MCCDC. But after Rev. Larry died, I had a conversation with the new Pastor, Rev. Candace. During that conversation, I remember being told I was a long way from being prepared for set apart ministry, because I did not have a seminary degree. By this time, I was out of the Navy and working for the Federal Government. After that conversation, I walked away again and decided to focus on my secular career. Things changed at an unexpected time in my life. Because some years later at a time when I was “at the top of my career game”, I was also on the cusp of a promotion and re-location to a work site either in Haiti or South Africa. Each day at lunch time I would go into my office, eat my lunch and read my little devotional book along with the Bible. Over time, my office became crowded with members of my staff and other staff members who were asking me questions and talking about the Bible. We even began to pray for and with one another. At no time did I turn anyone away because I was at lunch, had an open door policy, and was happy to share and engage in conversations about faith. Being on Federal property, eventually someone complained to my boss that members of their staff were leaving their work stations in another part of the building to come to my office and “talk about Jesus”. The problem was that they did not have the same lunch hour that I did. And there was concern that I may have been initiating the whole thing. So I got called on the carpet by my boss and ordered to stop, which I did. After all, the source of my bread and butter was at stake. After I stopped, I thought I’d be fine. But instead, I was miserable. And to top it all off, a co-worker of mine (whom I never really liked) started hounding me like “the hound from heaven” to get some seminary training. She said that if I was going to talk to so my people about Jesus, I’d damn sure better know what I was talking about, or I was going straight to hell. She would not shut up but nagged me every day until I promised to go with her to take an evening class at Wesley Theological Seminary, in Church History (she was taking the class because she thought it would help her teach an Adult Sunday School class at her church). To shut her up, I went. And when we drove up the driveway to the school and I saw that big statue of Jesus facing Massachusetts Avenue, I started to weep, and knew I was in the right place. The rest is history. During seminary, the doors to serving an MCC church did not open. So I was a “free agent”. One of the final requirements at Wesley was to serve as a ministry intern at a church for at least 8 months. In order to graduate, some congregation had to take me under their wing. So I looked on the church bulletin board for churches seeking interns, picked one and called them. That local church ended up being my ordaining congregation in 1998. My call to ministry was in the area of pastoral care and counseling. And I worked as a resident chaplain at Georgetown University Hospital. It was at Georgetown, I realized how much I missed preaching and serving a local congregation. So when my contract was soon to be renewed, I had lunch with a friend of mine on staff at Wesley, and asked him to keep his eyes and ears open for anyone interested in hiring a Pastor. About a month before I was to renew the contract, I got a call from my friend at Wesley who told me he had lunch with a friend of his who knew a United Methodist District Superintendent (DS) who was looking for someone comfortable serving a multi-ethnic church in Central Pennsylvania. The church he had in mind used to have an all White congregation till they merged with an all Black congregation in the 1980s. Because of “White Flight” in the neighborhood, the church was struggling and in danger of closing. The DS had plenty of Pastors who would be excellent candidates for the White churches, and a few for the hand-full of Black churches. However, they could find no one who could comfortably and effectively navigate the waters of both ethnic groups in the same house of worship at the same time. Within three months, I was the Senior Pastor of that Central Pennsylvania church. And after three years, I was asked by the Bishop to consider serving beyond the local church level by entering their clergy candidacy process. Because I was already ordained in the Baptist church and in good standing, I had no need to work toward ordination, so I was not interested. In addition, I had no problems with my ordaining congregation and did not want to turn my back on them by changing my affiliation. The Bishop persisted, and told me I would not have to give up my original orders, and by successfully completing their candidacy process (slightly shortened because of my experience and ordination), I could become recognized as a full Elder in good standing in the United Methodist Church with dual credentials. Once assured I would not be required to give up my original orders, I said yes. Upon obtaining standing as a full Elder, I was available to be called to serve churches beyond the local church I was currently serving. Because of this new status, after three years, I was appointed to a number of other churches with unique and challenging situations. In all but 2 of these churches, I was the first Black, the first woman and the first person living and traveling solo. It was during these appointments, I thanked God and my family for exposing me to such diversity and change growing up. It did not prepare me for everything, but it did give me the kinds of experiences that helped me to be strong, compassionate, gentle, courageous, flexible, bold as needed and humble in the face of success. Each appointment was a serious challenge. And though I left each church in better shape than I found it, no appointment was longer than three years. Because of this, I became concerned that my “track record” would look (on its face) as if I was some kind of a misfit. During a meeting with my DS, I shared this concern. His response was to hand me a brochure about certification training in New Jersey for Intentional Interim Specialist Pastors (IISP). This was very unusual, because United Methodist polity does not support such a position. Nevertheless, I went to the church sponsored training and as a result, found my “niche calling”. There were about 20 participants from various back-grounds at the training. And we were all people who “colored outside the lines” naturally. It was good to learn I was not alone. 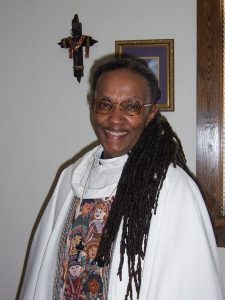 At a gathering of senior clergy, he asked a colleague of his (who happened to be one of my Intentional Interim instructors during certification training) if he knew of anyone who could serve a church he had in mind, located in mid-state New York. His friend gave the DS my name, the DS contacted my former Bishop, both Bishops had a conversation, and I was invited to come to New York State and serve another church in deep transition. I accepted. After my work was completed at the New York Methodist church, I was approached by the Bishop of a Lutheran church in the area and asked if I would be interested in serving a church in their denomination. After applying, and undergoing several interviews, I was offered the position. But because of the severe winters in that area, and because I deeply missed my family, I declined and moved back the Washington Metro Area. Because of a conversation with Rev. Elder Darlene Garner, I was asked to serve MCC Baltimore as an IIPS. In October of 2010, I accepted the offer of a position there, and completed my work as their IIPS in April of this year. The Board of Directors has asked that I accept a new contract as a part-time Church Consultant for the next three months. And I agreed to do so. Today, I have accepted the call to serve another MCC church as an IISP. On Sunday, September 8, 2013 I began as Pastor of NEW Light MCC in Hagerstown, MD.